For all of human history, babywearing was an ingrained part of childcare practices across continents and cultures. Then, a shift in attitudes occurred. 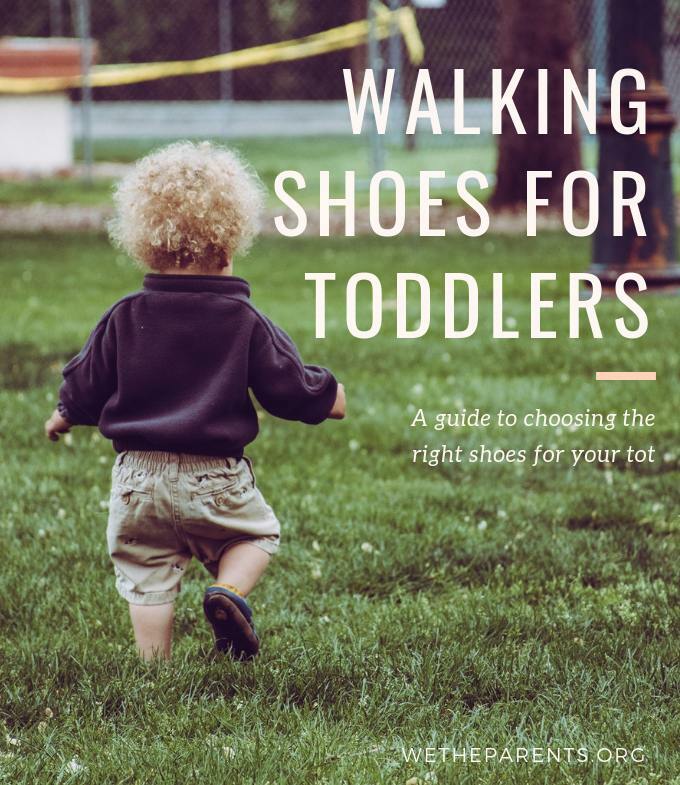 Particularly in the West, people started to believe that infants should learn how to self-soothe; mothers held or carried their babies far less throughout the day, and strollers became the default, convenient way to transport our little ones. Just like that, wearing our babies seemed destined to become a footnote in motherhood history. Over the last few decades, however, the trend has been reversing. And far from being some “crunchy mom” fad, babywearing is now entering mainstream health and social care practice. One reason for this shift is that the science is finally catching up with cultural wisdom and anecdotal evidence. Let’s dive in and examine 23 compelling studies; each reveals an evidence-based benefit of using a baby carrier. Currently, there are only a handful of studies where researchers have directly measured the benefits of baby-carrying. They offer compelling results and advocates have long been calling for more. But here’s the thing: to get a complete picture, we need to cast our net further. There exists a wealth of compelling and highly relevant findings in closely related areas of study, such as early child development, Kangaroo Mother Care, and anthropology. It would be remiss not to include these in a discussion about babywearing. Taken together, these studies provide a robust, science-backed case for carrying our babies. Let’s be honest; one day we all hope to have the kind of relationship with our kids that involves finishing each other’s sentences. The earlier we form a deep connection with our infants, the better off we are, and plenty of evidence points to babywearing being a way to foster such an attachment. Key study/paper: Anisfeld E et al. (1990). “Does infant carrying promote attachment? An experimental study of the effects of increased physical contact on the development of attachment.” Child Development, 61(5):1617-27. As mothers, we hate to see our babies cry. Let’s face it; to avoid an unhappy child, we would happily do backflips. OK, maybe not happily, but you know what I mean. Luckily, you can save the theatrics for another day because according to the science, you do not need an elaborate acrobat routine to keep your little one happy. Ninety-nine mother-infant pairs took part in a controlled study that looked at the link between crying and babywearing. Those assigned to the experimental group were instructed to hold their babies, at random times and not in response to crying, for an extra three hours a day. The results showed that these infants, at six weeks old, cried 43% less overall and, 51% less at night than the infants in the control group. Key study/paper: Hunziker UA, Barr RG. (1986). “Increased carrying reduces infant crying: a randomized controlled trial.” Pediatrics, 77(5):641-8. As moms, we are famous for scrutinizing every ingredient in the foods we feed our children, as well as constantly ensuring that they are nursing enough. We want our kids to grow up strong! Key study/paper: Field T et al. (2010). “Preterm Infant Massage Therapy Research: A Review.” Infant behavior & development, 33.2:115–124. How many times have we wished our babies could open their mouths and tell us exactly what is on their minds? As it turns out, you can actually make yourself more responsive to your child’s needs through touch. Key study/paper: Anisfeld E et al. (1990). “Does infant carrying promote attachment? An experimental study of the effects of increased physical contact on the development of attachment.” Child Development,61(5):1617-27. Gastro-esophageal reflux is a common occurrence among infants. While it usually resolves by itself, it is unpleasant, causes fussiness and can, in some cases, lead to gastric-esophageal reflux disease (GERD). The consequences of GERD can be as severe as respiratory illness, anemia, or failure to thrive. I guess us adults shouldn’t complain about the occasional acid reflux from a spicy dinner, right? Now for the good news. Key study/paper: Jung WJ et al. (2012). “The Efficacy of the Upright Position on Gastro-Esophageal Reflux and Reflux-Related Respiratory Symptoms in Infants With Chronic Respiratory Symptoms.” Allergy, Asthma & Immunology Research, 4.1:17–23. If you are one of the countless mothers who suffer from depression, we first want to let you know that you are not alone. Depression is an illness that goes beyond being tired or having a bad day; it is a medical condition for which you should never be afraid to seek help. If you are worried that your depression is affecting your infant’s development, then wearing your baby can be beneficial for you both. Key study/paper: Peláez-Nogueras M et al. (1996). “Depressed mothers’ touching increases infants’ positive affect and attention in still-face interactions.” Child Development, 67(4):1780-92. There was a time when many western countries seemed to forget that the breast is best. Luckily, breastfeeding is experiencing something of a renaissance in these areas of the world, and it seems that wearing your baby might just help you keep up with those much-needed nursing sessions. Key study/paper: Pisacane A et al. (2012). “Use of baby carriers to increase breastfeeding duration among term infants: the effects of an educational intervention in Italy.” Acta Paediatrica, 101(10):e434-8. Nothing can make a mother feel more like…well, a mom, than calming and soothing her distressed child. We all know, anecdotally, that rocking is a great way to quiet an upset infant, but one study set out to find an empirical link between this motion and its efficacy on calming babies. Scientists examined thirty-six newborns, aged between 1 and 3 days. When distressed, the babies that were rocked by their mothers became pacified faster than a control group who did not receive any such intervention. While this might not be surprising, the rocked babies also quieted more quickly than those who were picked up and merely held. Key study/paper: Byrne JM, Horowitz FD. (1981). “Rocking as a soothing intervention: The influence of direction and type of movement.” Infant Behavior and Development, 4:207-218. Few things make us feel more bonded with another human than physical contact; touch is its own language of love, comfort, and safety. Virtually every mammal, at some point in their lifespan, will derive a significant benefit from the touch of their mother. Even in rats (I’m going somewhere with this, I promise), warmth and touch have been shown to stimulate oxytocin release. In turn, cortisol and blood pressure levels decreased, thus producing an overall calming sensation in the animals. Contact between mother and baby also provides emotional benefits in the way of safety and secure attachments. Key study/paper: Uvnäs-Moberg K. (1997). “Oxytocin linked antistress effects–the relaxation and growth response.” Acta Physiol Scand Suppl. 640:38-42. No one likes baby spit-up. It is just one of those things that we would love to avoid (we have enough laundry to do! ), and it’s certainly not the most pleasant part of the day for our little one. While it might seem like nothing can prevent the inevitable, it turns out that babywearing might be a useful technique in decreasing those reflux incidents. Key study/paper: Hopper HE, Pinneau SR. (1957). “Frequency of regurgitation in infancy as related to the amount of stimulation received from the mother.” Child Development. 28(2):229-35. While we’re talking stomach contents, did you know that those gastric fluids can cause your child to develop otitis media, also known as a middle ear infection? One study tested 65 children who were about to have ear surgery for gastric juice in their middle-ears, with 59 children producing a positive sample. The types of infections that can be caused by this fluid can lead to deafness, and their prevalence is shown to increase if your infant spends a lot of time lying on her back. An easy way to limit your baby’s horizontal time during the day is by wearing her in a sling or carrier. This action puts her in a verticle position, keeping those gastric juices down south where they belong. As an added perk, you get to retain your freedom to move about as you wish. Key study/paper: Tasker A et al. (2002). “Is gastric reflux a cause of otitis media with effusion in children?” Laryngoscope, 112(11):1930-4. Digestion is important for people of all ages, but it’s especially vital for our infants. Our babies are rapidly growing, physically and developmentally, and we owe it to them to do all we can to give them every advantage-right down to how their little bellies are processing that breastmilk. So how can we do that? Well, it turns out that wearing your baby can mimic the feel of a gentle massage. Why is this good? One study found that preterm infants who received massages experienced an increase in vagal activity. While a low vagal activity level is thought to be linked to depression in infants, healthy levels have been found to stimulate gastric motility, or the movement of food through the digestive system, as well as aid in weight management among preterm infants. Increased parasympathetic vagal activity can also stimulate the release of gastrin and insulin, hormones that aid in food absorption. Key study/paper: Diego MA et al. (2007). ”Preterm infant massage elicits consistent increases in vagal activity and gastric motility that are associated with greater weight gain.” Acta Paediatrica, 96(11):1588-91. It’s not off base to say that birth, while a beautiful event, can be a culture shock for the new arrival. Unlike many mammals, your baby does not come out equipped to deal with this sudden change in scenery. In fact, some scientists liken our young to kangaroos; too mature for the womb but too immature to survive outside of their mother’s pouch. Key study/paper: Gatts J D, “Infant environmental transition system and method”, US Patent, US5385153A. There are things other than crying that can mean your baby is feeling fussy. She might appear restless, noisy, seem to fidget a lot, or just seem generally malcontent. However, these behaviors can practically disappear when a baby is receiving attention. Key study/paper:Hewlett BS et al. (1998). “Culture and early infancy among central African foragers and farmers.” Developmental Psychology, 34(4):653-61. It is no secret that your baby wants and needs to be close to her mother. And let’s face it, we love to breathe in that new-baby smell during a good snuggle session as often as we can. But do the reasons for needing that closeness go beyond an emotional response? The science points to a clear yes. Key study/paper: Christensson K et al. (1995). “Separation distress call in the human neonate in the absence of maternal body contact.” Acta Paediatrica, 84(5):468-73. The species of this planet have evolved to care for their newborns in several different ways, with three types of caregiving being the most common. Nest Dwellers (aka cached): babies wait in a shelter that their parents have built and are cared for within its confines. Parent Followers: babies are ready to walk immediately after birth, the young belonging to this group are rarely alone as they go where their mother goes. Carried Young (aka parent clingers): these babies have evolved to be with their mothers via a clinging ability, and some scientists feel we belong in this category. Key study/paper: Nicolai K, (2013), “Cache or Carry? Comparative biology and infant carrying”. Published online. Happiness and contentment start from the inside out, and I don’t just mean that in a mind-over-matter kind of way. We have all experienced the physiological symptoms of stress. Our heart might race, our stomach feel in knots, and we sometimes we begin breathing too fast. Naturally, we do not want our little ones to have to go through these bodily reflexes, as they are quite unpleasant. Luckily, wearing our babies can diminish these physical signs of anxiety in our infants. Key study/paper: Esposito G et al. (2013). “Infant calming responses during maternal carrying in humans and mice.” Current Biology, 23(9):739-45. Postpartum depression is not as uncommon as we would like to think; you are not alone if you are suffering from it. As with depression, never be ashamed to seek out help. You deserve to be healthy as much as your baby needs to you to be healthy. On your journey back to wellness, you might find babywearing to be a positive part of your recovery. Key study/paper: Bigelow A et al. (2012). “Effect of mother/infant skin-to-skin contact on postpartum depressive symptoms and maternal physiological stress.” J Obstet Gynecol Neonatal Nurs., 41(3):369-82. Evidence shows that an infant who rests on her back for extended periods, especially one who prefers a single head position, is at risk for developing a flathead. While sleeping on the back (on an appropriate mattress) is considered the safest way for a baby to sleep (it is thought to help prevent SIDS), that noggin needs a break during the day. Key study/paper: Mawji A et al. (2014). “Risk Factors for Positional Plagiocephaly and Appropriate Time Frames for Prevention Messaging.” Paediatrics & Child Health, 19.8:423–427. You have a baby in the house, which means that you are sleep deprived and busy; really busy. You need to conserve your energy where ever you can as you forge your way through the jungle of parenthood. We want our babies to feel as much a part of us as we do of them but there are days when us moms feel so overwhelmed that it is a difficult emotion to exude. Good news: babywearing can actually facilitate this sense of togetherness by literally syncing your heart to your baby’s heart. Key study/paper: Feldman R et al. (2011). “Mother and infant coordinate heart rhythms through episodes of interaction synchrony.” Infant Behavior and Development, 34(4): 569-577. Any mother who has given birth to a preterm baby has experienced a fear unlike any other and wants to make sure that they give their tiny newborns the best chance to succeed at developmental growth. 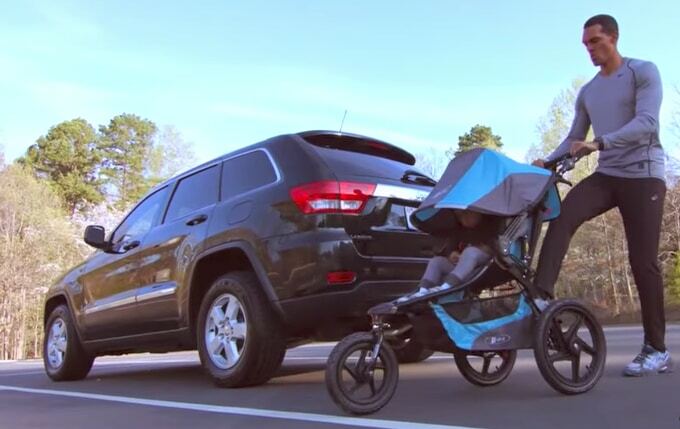 Babywearing might just be one thing you can use from your mommy toolbox to accomplish this. Key study/paper: Tessier R et al. (1998). “Kangaroo mother care and the bonding hypothesis.” Pediatrics,102(2):e17. We are not saying that you will never have another case of the mommy jitters if you wear your baby, but there is evidence that suggests that babywearing, along with skin-to-skin contact, can make you feel more competent when dealing with stressful situations involving your baby’s health. Okay, so scientific data is important and we need facts to make good choices. But it is foolish to exclude cultural wisdom and anecdotal evidence when considering the benefits of babywearing. Often times the best advice and most pertinent truths are gained by simply asking other parents about their personal experience. Just be a boatload of bonding and fun! Let’s talk safety: As with all things baby-related, it is vital to choose a product that is appropriate for you and your child. Once you have done that, be sure to read and follow all instructions included with your chosen sling or carrier. In the meantime, here are some general safety tips to keep in mind. Where applicable, be sure to register all baby carrying devices, as you will then be alerted to any recalls. While at one point on the verge of extinction, babywearing is now making a comeback among parents and scientists alike. The research is clear. Slings and carriers provide your baby with emotional benefits, like allowing her to feel safe and bonded, as well as physical advantages, such as lessening the chance of her developing a flathead and controlling reflux issues. These products also provide you, the parent, with some pretty great perks. Who doesn’t want to conserve their energy and be more productive without having to separate from their infants? With our babies on our bodies and science by our side, the future of babywearing is certainly bright. great post! of course, I agree with every point! Thanks, Anna. We appreciate the positive feedback. Thanks for collecting such extensive scientific research and displaying it so clearly and easy to share. I love this! Happy International Babywearing Week! Thanks, Diana. We really appreciate the positive feedback. Keep up the awesome work. 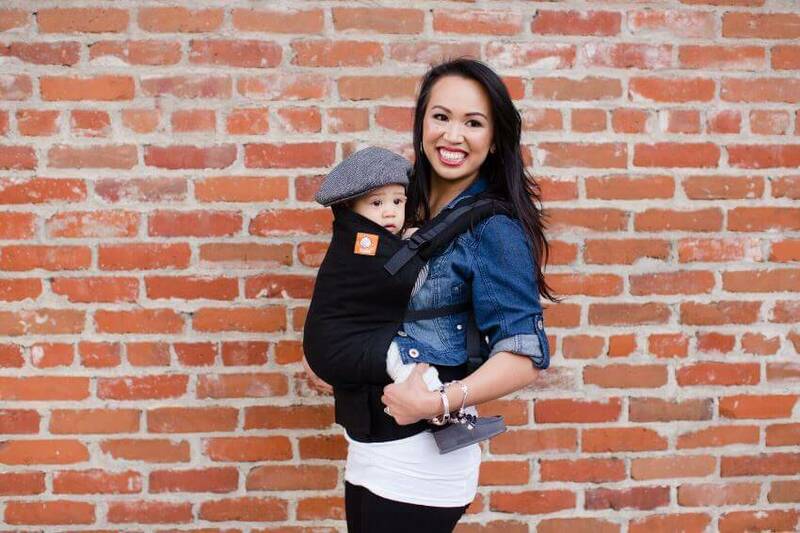 We love your slings and all the great advice you give on Wrap Your Baby.